Aerial Assist was a very competitive and action-packed game in which two alliances consisting of three teams per alliance scored two foot diameter exercise balls in goals. The fifty-four foot long field was separated in the center by a truss five feet above the floor. The more the alliances score their ball in their goals, and work together, the more points their alliance receives. 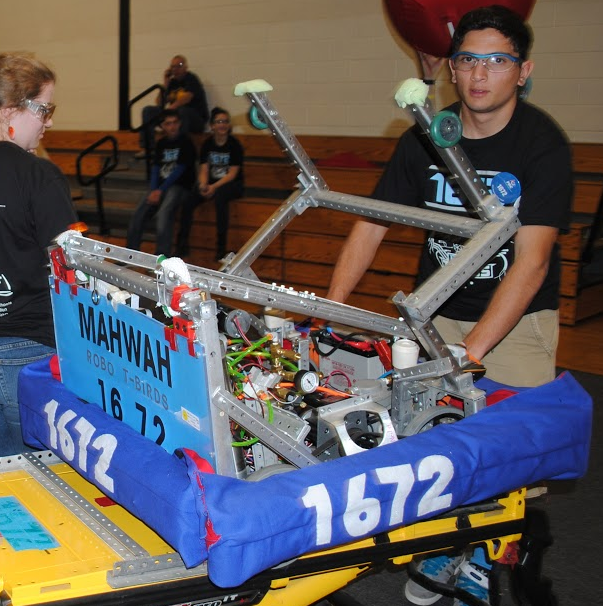 The Robo T-Birds decided to create a versatile robot that could perform every task on the field. To achieve this, two separate mechanisms were made. Pneumatic cylinders were used to move an arm that hit the ball and allowed the robot to score from approximately five feet away from the wall. Also, a motor with a belt attached to a sprocket pulled a fork up which could pick up the two foot ball and position it for shooting. 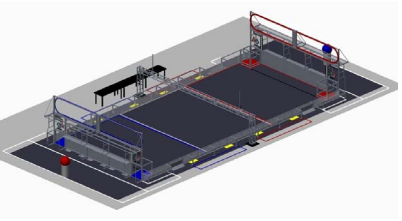 In autonomous, two ultrasonic sensors were used to move the robot to shooting distance and ensure that the robot was aligned with the front parallel to the goals.